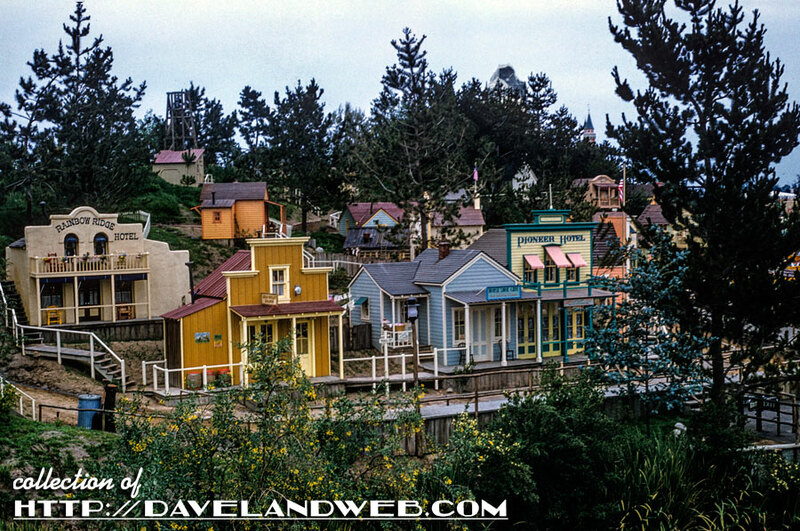 Rainbow Ridge was built in the mid 1950’s for the Mine Train through Nature’s Wonderland. The town was located on a large hill in front of the boarding area for the attraction. The town also extended to the left in front of the Pack Mule attraction. The red shows the site of the old Rainbow Ridge and the yellow is the current site of the town. The purple is the pack mule route and the black is the mine train. The brown is the large hill. In 1977 the mine train closed and was replaced by Big Thunder Mountain Railroad. BTMR takes up only a fraction of the former attraction’s space. They added a trail to connection Frontierland and Fantasyland. They also added a festival area called Big Thunder Ranch. The town, Rainbow Ridge, was mostly destroyed. The large hill that the town sat on was removed and that is now the station, queue, and storage bay. In 1979 they opened Big Thunder Mountain. This was Tony Baxter’s “kid” and as you may know, he loves the park’s history. He wanted save the town but only a small portion could remain. 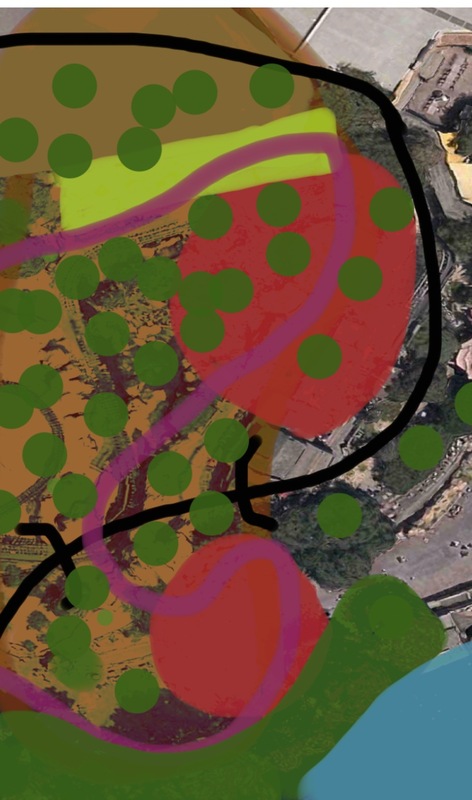 There would be a section of land near the the coaster’s break run that could be the new location. The buildings were relocated there and a waterfall was added. There were rumors that floated around in the fall of 2012 that it would be removed in BTMR’s track refurbishment. Thankfully WDI has decided to rebuild Rainbow Ridge from the ground up. We’ll have to wait until October this year to see if there are any new additions. Hope you liked this look back into some of Rainbow Ridges history. If you have any photos of the old Rainbow Ridge from the 70’s, or have any questions, email us at kolbykonnection@gmail.com. Like us on Facebook for updates on models, exclusive content and be the first to know about new articles. Please share this with your friends and family by clicking the “Like” button under this article. Do you have any memories of Rainbow Ridge?